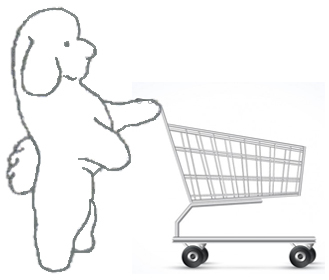 This section of our web site hopes to answer the many questions we get about the products we have used in raising our bichons. You can find many of these products locally but we’ve given you links to them at Amazon.com so that you can see their full descriptions and product reviews from others that have used them. If you don’t find something here that you are looking for OR if you would like us to include a product that you recommend, we’re happy to include it here. Select a Category then click on the Descriptive Link to take you to the page that describes those items. Suggestions for things you will want to have ready the day you bring your new puppy home. Non-digestible and Digestible Chews and other treats you may want to use for training and stuffing in play toys. Products we may use in addition to food products. Collars, Leashes, Beds, Crates and Kennels, Gates and Exercise Pens. Bichon specific books, Training books, etc. Things you should have in a pet first aid kit or your pantry. Includes products for upset tummy, pain, wound care and anxiety. Toys, treat balls, puzzles, and more. Stuff we use that didn’t fit into other categories but that you might find useful. Note: If you choose to purchase any of these items from Amazon and you click on the link from our website, we do get a small referral fee from your purchase. There is no charge to you and no increase in the final price you pay.